June 2016 – ZIGGY® has launched the Sunny Sunwear Collection, a beautifully eclectic range of bespoke sunglasses designed by eyewear artist, Cendrine Obadia, who is renowned for her original, wearable art. 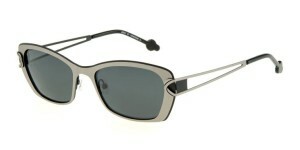 The ZIGGY® by Cendrine O. Sunwear Collection is available now at from ZIG Eyewear USA. The 24-piece collection features versatile and unique designs that stand out from the crowd and let your personality shine through. Exceptional craftsmanship and materials guarantee a lightweight and comfortable fit and assured quality. Cendrine Obadia has spent more than 20 years honing her craft, and the French Canadian eyewear artist is creating some of the most innovative and inspirational pieces available on the market today. Combining vibrant colors, intricate detail and bold design features, her standout style brings each frame to life in its own unique way. The highest quality materials come together to create a ZIGGY® frame. OBE German hinges, multi-dimensional layering of acetates, laser-cut stainless steel and diamond cuts in the acetate are just some of the design measures that go into making these state-of-the-art sunglasses. Each frame is designed to allow for prescription lenses, while some pieces feature polarized lenses. 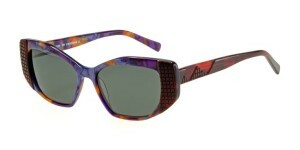 Visit zig-eyewearusa.com to view the entire Sunny collection. ZIG Eyewear is an international distributor of high-quality, artistic eyewear. ZIG Eyewear’s designer, Cendrine O., has been creating unique, fashionable frames in her two lines, ZIGGY and Jean Reno, for over 10 years. ZIGGY® by Cendrine O. is a fashionable, colorful line with designs in whimsical, geometric, dimensional, ornate, and industrial styles. 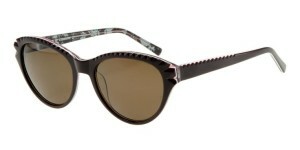 These frames are comprised of vintage, artistic, structural, and modern styles. Constructed primarily of stainless steel, ZIG Eyewear frames contain quality aspects such as multi-color banded metal and laser cut detailing. With nearly 200 unique designs to select from, we are confident ZIG Eyewear has options that have great appeal to any personal style!